Yesterday, sadly, I backed over Finn our cat with the car today… he didn’t make it. All a bit sad around here! Finn was with us from February 2002 to December 2013. He’s always been a lively little guy with a great hunting instinct (rabbits and rats) in Dunedin and fortunately, not many birds. He also had a tendency towards clumsiness with a tail that dipped into food as he waked past, the ability to tip anything off a shelf or bench, the ability to turn the stereo up to full throttle, and a rather marvellous ability to wind up the dog by hitting him on the backside as he walked past. We will miss his greetings on the driveway, his leaping onto the roof with a tremendous thump at exactly twenty minutes after he was put out for the night, and his making himself pat-able with any guests in the house. 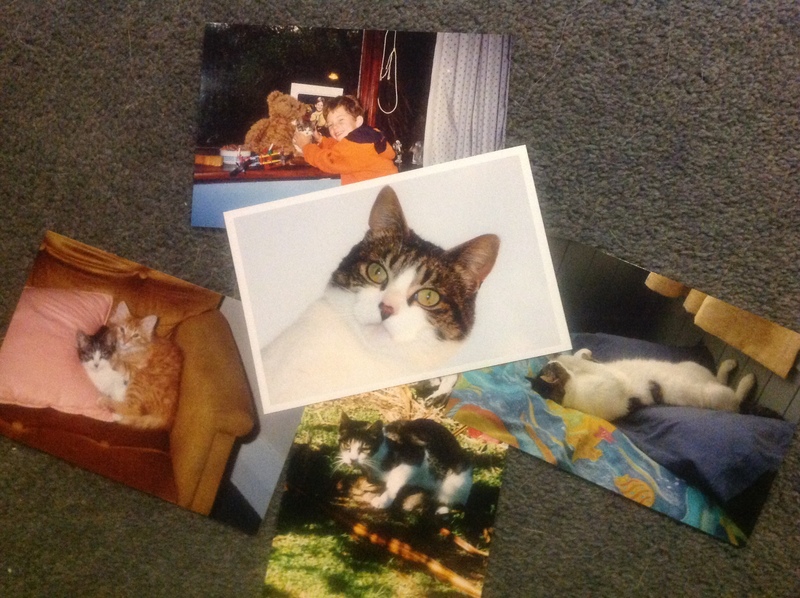 Poor old Moby will miss him – they’ve been companions from infancy. Another favourite memory is painting a room late into the night one time in Dunedin and hearing scratching on the window – there was Finn perched with his hind feet on an outdoor chair staring in at me and right beside him was a possum doing exactly the same…. priceless!